I noticed that it is National Grilled Cheese Day on April 12th. I had a grilled cheese recipe all ready to go for this post. But when I was looking at the pictures of the grilled cheese, I decided that they were not good enough for the blog. So, right now I am wishing that the pictures would have turned out; it would have been the perfect post. Oh well, maybe next year. My favorite pot pie until now has been chicken pot pie and loads of vegetables. I don’t make enough that is for sure. Of late I have been thinking of pot pies and how I could change them up a bit. I also love Italian sausage, it is always my favorite topping when it comes to pizza. That is when it hit me, Italian pot pie. 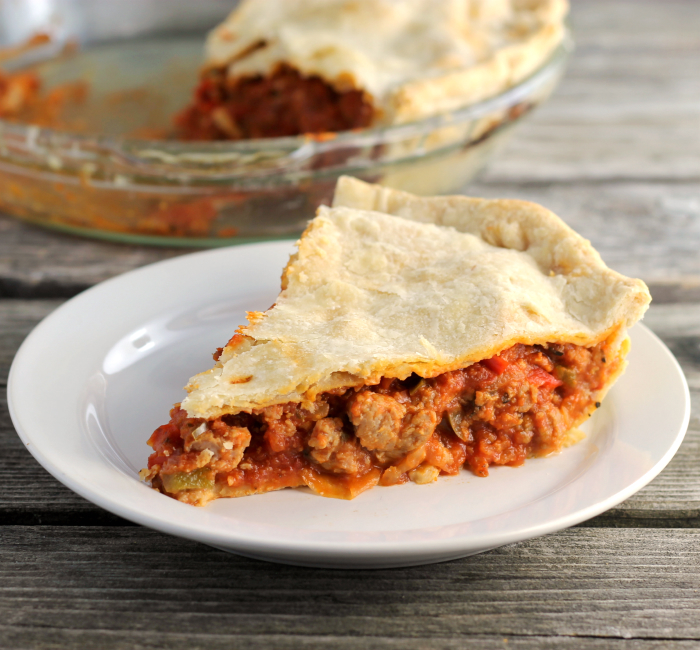 Loads of Italian sausage, peppers, diced tomatoes, onions, and garlic all wrapped up in a flaky pie crust. 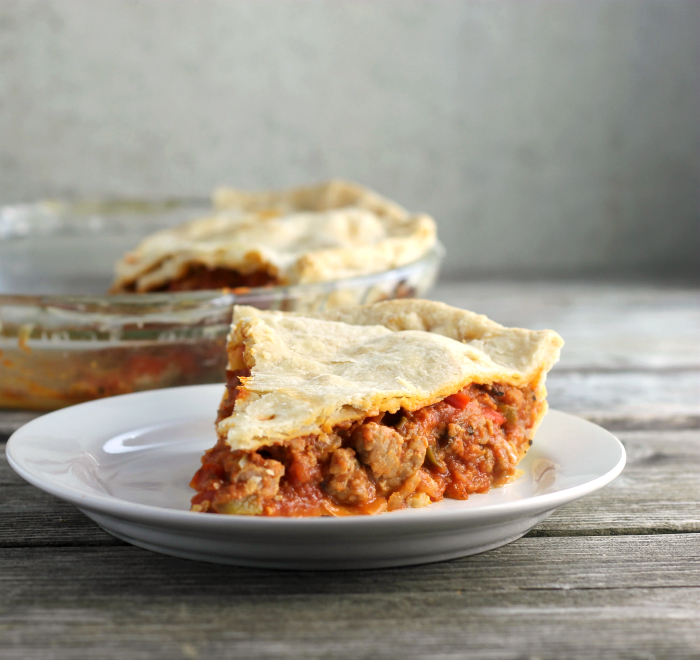 When I first started thinking about this Italian pot pie, I wasn’t sure if I wanted to make the crust with pizza/bread dough or if I should go with a traditional pie crust. I love the traditional pie crust when it comes to the traditional pot pie, so I decided to stay true to making a pot pie and go with the pie crust. As always things can be changed out. If you don’t like certain ingredients in this recipe you can change them out to what you or your family enjoy. Personally, I would have put mushrooms in my Italian pot pie, but I am outnumbered by the people who don’t like mushrooms in our house. In a large skillet brown the Italian sausage. In another skillet heat the olive oil over medium heat. Add the onion, red pepper, green pepper, and garlic. Cook for about 10 minutes until vegetables are getting soft. Stir in the diced tomatoes, tomato sauce, basil, and oregano. Stir in the Italian sausage, making sure everything is mixed well. Place the bottom pie crust into the pie pan. Add the meat and sauce filling. Place the top crust over the meat mixture. Trim the edge and seal. Place in the preheat oven and bake 35 to 40 minutes or until pie crust is a golden brown. 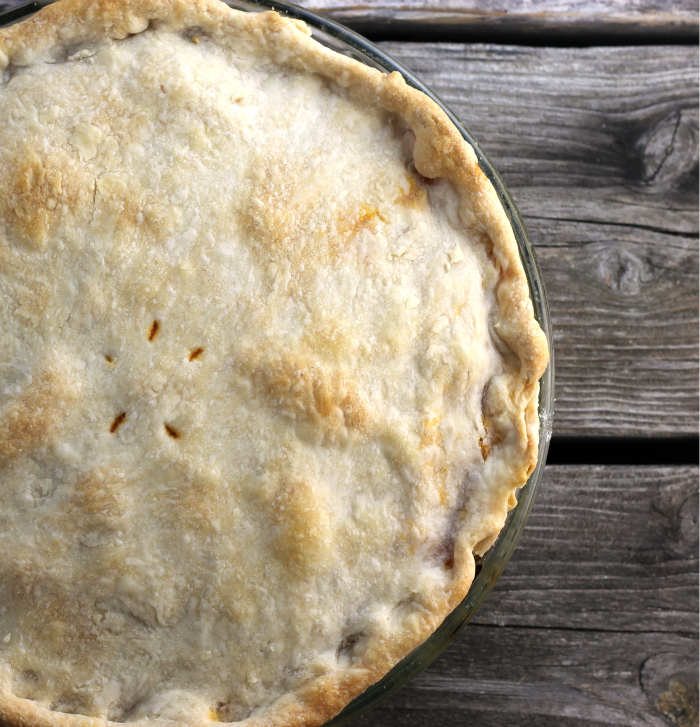 Pot pies are one of my favorite comfort dishes. Love how you changed this one up, looks delicious Dawn. It’s amazing to me that it is grilled cheese day, they are great too! wow This looks too good to miss in life, Dawn. 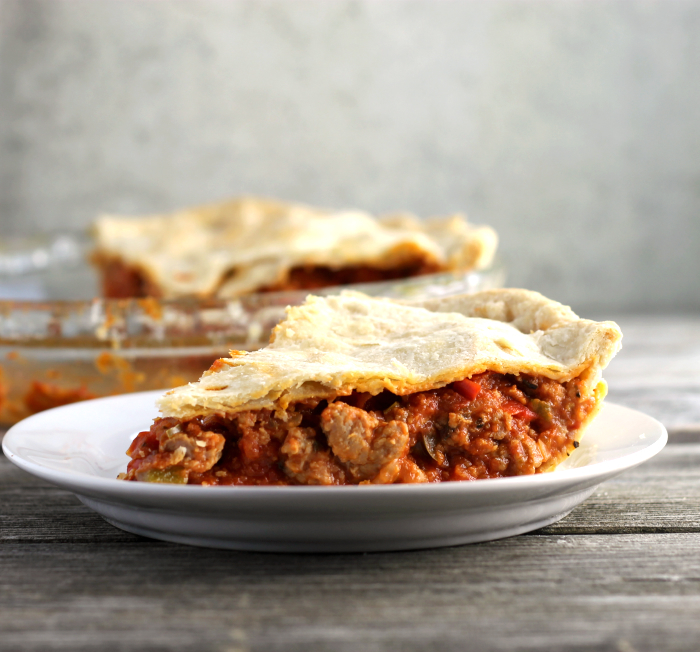 I have never had Italian pot pie…but I already know that I will enjoy, just by reading the list of ingredients in this pie…it sure looks delicious! I love pot pies Dawn !! What a terrific idea! Who doesn’t love a pot pie? Never thought of an Italian one, but it makes huge sense. Really good recipe — thanks. Aren’t you the clever one. I love pot pies so thanks for the inspiration…it has to be delicious. That is very cool. Neat idea. I love pot pies and this looks like a great variation. Nice Post.